Hey everyone! It's Candace from Candi O. 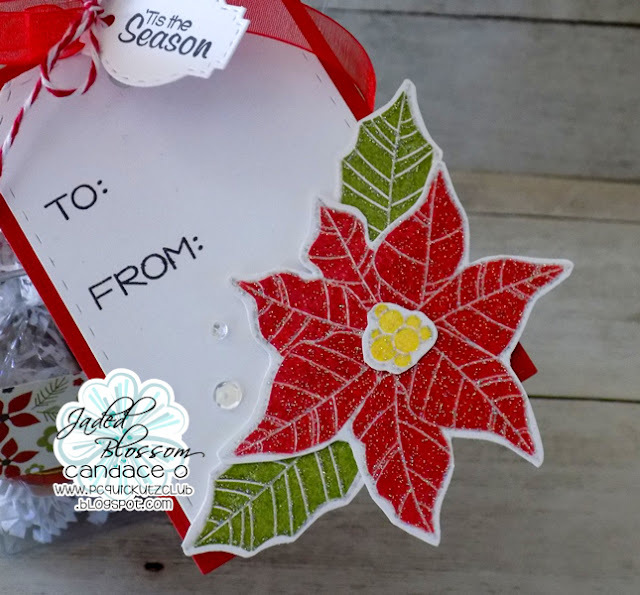 Designs and it's my day over at Jaded Blossom and I am sharing a project I made using the Monthly Spotlight Stamp Set ~ "Poinsettia". 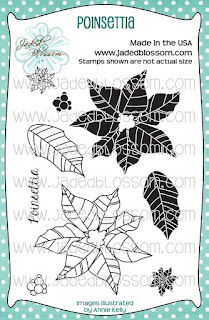 This stamp set is awesome for doing 2 step stamping where I used versa mark and silver embossing powder for the outline on the flower and leaves. You can also copic color just the outline or stamp the base on colored paper...lots of different ways to use this set!! 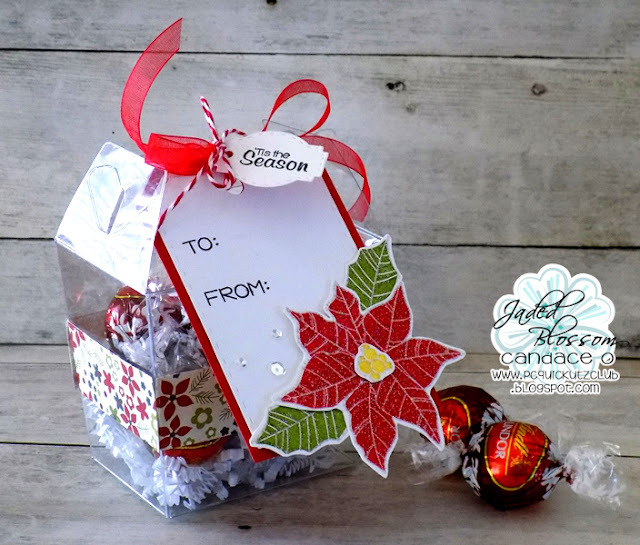 It's hard to believe that Christmas is just around the corner so I created this little treat with a tag which I embellished with the embossed poinsettia. 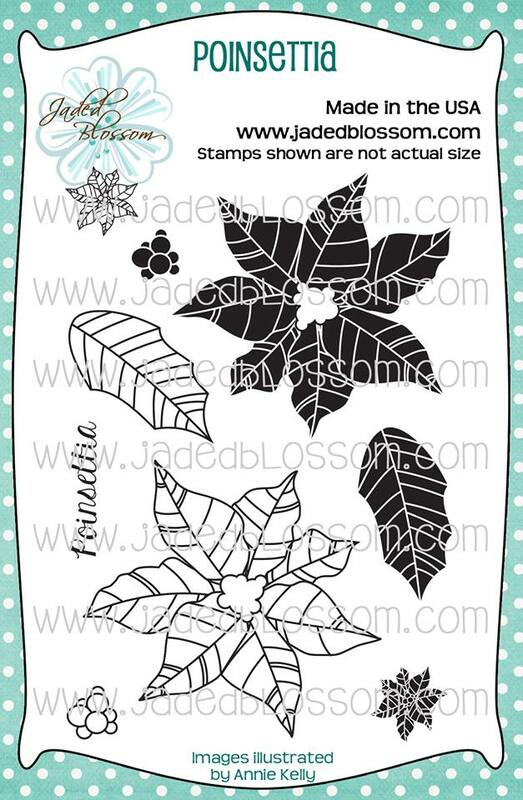 your own Poinsettia Stamp Set at a great price this month! Wow! This is so pretty !! 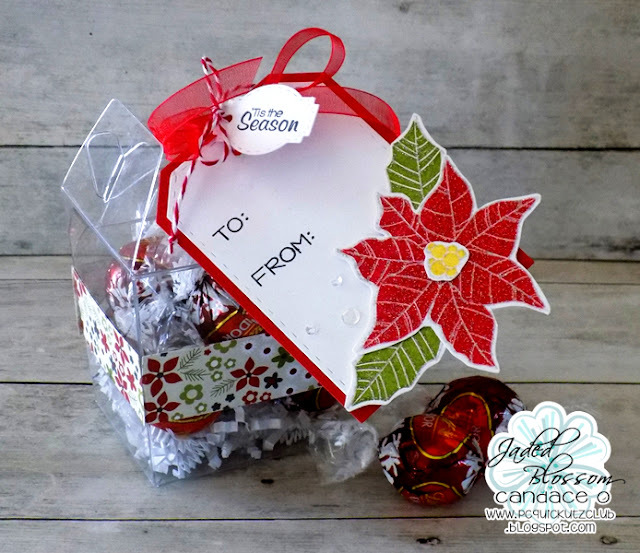 Love the stamping technique, the poinsettia is stunning! Awesome little gift ! This so pretty! Wow, the flowers and leaves look fantastic! gorgeous job ! i haven't touched embossing powder in years - it looks beautiful !